The insight that the conventional wisdom, “what everyone knows”, is all too often wrong has been expressed innumerable times by various people, as Googling for the source quickly reveals. The phrase even heads Chapter 9 in The Practical Drucker: Applying the Wisdom of the World’s Greatest Management Thinker, by William A. Cohen. 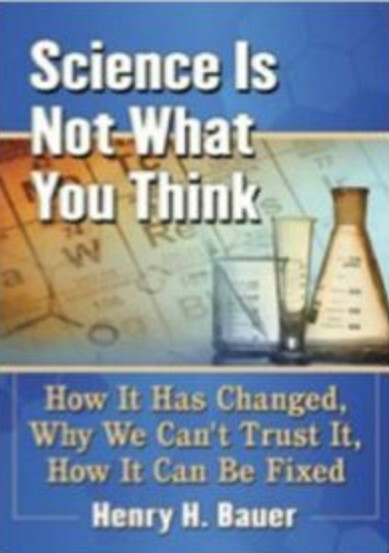 In matters scientific, what everyone “knows” — that is to say, believes — is so often wrong because of entirely mistaken views about what scientific activity actually is and the misguided equating of “science” with truth (Scientism, the Religion of Science). Pundits hold forth about “scientific literacy” as though that means knowing things like what the most common gas is in the atmosphere, or the most common element in the earth’s crust, etc. etc. etc. ; see for example an online quiz by the Christian Science Monitor. But you could get 100% on that sort of quiz and still be entirely ignorant about how reliable science can be or cannot be as a guide to public policy *. 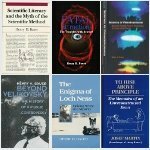 Meaningful scientific literacy would comprise a reasonable understanding of the elements of the interdisciplinary field of STS (Science & Technology Studies), particularly familiarity with the history of science (see my Scientific Literacy and Myth of the Scientific Method, University of Illinois Press 1992). That would provide a rudimentary safeguard against accepting and parroting mistaken shibboleths like those exhibited, for instance, by the managers of the prominent “ideas” forum, TED [TED and TEDx reinvent the wheel — and get it all wrong (or, Ignorant punditry about science and pseudo-science)]. But those who pointed to TED’s misunderstandings were no better informed about science. Thus “Deepak Chopra, MD. FACP, Stuart Hameroff, MD, Menas C. Kafatos, Ph.D., Rudolph E. Tanzi, Ph.D., and Neil Theise, MD” asserted that “One of modern science’s great strengths is that any questionable finding dies a quick death if it’s invalid. The safeguards are mainly two: Your new finding must be repeatable when other researchers run the same experiments, and peer review by qualified scientists subjects every new finding to microscopic scrutiny” [emphases added]. The most elementary acquaintance with history of science reveals that questionable findings die a quick death only if they contradict a prevailing scientific consensus at the same time as the most incompetent stuff finds acceptance if it fits the current paradigm. “Repeatability” is a common but baseless shibboleth: almost no one even tries to repeat things because there’s no credit for doing so, you don’t get published unless you do something “original”. Published work gets tested not by attempted repetition but because others try to use the conclusions for further research. As for peer review, it is far from “microscopic scrutiny”, it’s merely a way to ensure that publications fit with prevailing beliefs (Richard Horton, Health Wars: On the Global Front Lines of Modern Medicine, New York Review Books, 2003, p. 306). As yet another example of scientifically illiterate science punditry, a science guru at Slate (“Phil Plait writes Slate’s Bad Astronomy blog and is an astronomer, public speaker, science evangelizer, and author of Death from the Skies!”) found the TED letter “wonderful”. 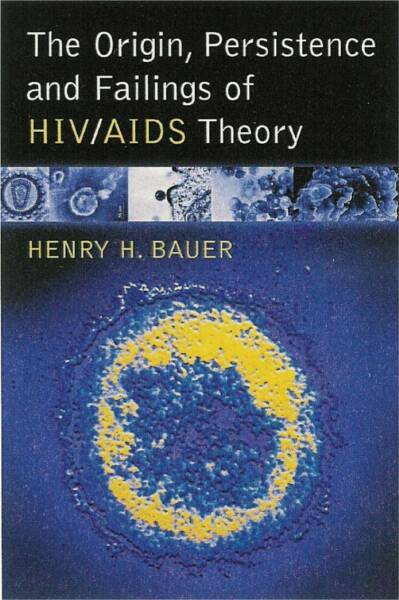 TED spreads misinformation not only through its seminars, it also publishes books. Evgeny Morozov has demolished the pretensions of that genre in a very funny and acerbic commentary on 3 TED books, primarily Hybrid Reality: Thriving in the Emerging Human-Technology Civilization by Parag Khanna and Ayesha Khanna; see The Naked and the TED: “Marketing masquerading as theory, charlatans masquerading as philosophers, a New Age cult masquerading as a university, business masquerading as redemption, slogans masquerading as truths. . . . Much like Glenn Beck’s magic blackboard, it connects everything to everything without saying anything significant about anything. . . .
Thomas Frank is also splendidly satirical about the “creativity-promoting” industry and TED’s pretensions: “[TED audiences] think they’re in the presence of something profound when they watch some billionaire give a TED talk”. Functional scientific literacy means knowing when to trust official pronouncements and when to question them. The lack of such literacy leaves one at the mercy of politically polarized claims about science (e.g. about global warming) and of self-serving advertisements by drug companies, among many other similar dangers. * Full disclosure: The average reader, we’re told, scores 66%. This Chemistry PhD scored 78% but doesn’t regard any of the 22% missed as a matter for concern, they — like the other 78% —are just trivia to look up if you ever need them — which is in itself extremely unlikely. This entry was posted on 2014/06/11 at 9:48 am	and is filed under consensus, global warming, media flaws, peer review, scientific culture, scientism. Tagged: banality of TED, conventional wisdom, Evgeny Morozov, mistaken view of science, TED pretensions. You can follow any responses to this entry through the RSS 2.0 feed. You can leave a response, or trackback from your own site. Ah, yes. Phil Plait. Card-carrying member of the pseudoskeptic movement. Just like so many other pseudoskeptics, it gets awfully difficult to believe that he honestly believes a lot of what he’s saying. I mean, pseudoskeptics are not the brightest bulbs, but, even so, it is difficult to believe that even they are as stupid as some of their public pronouncements would suggest. I think it’s less any general (“g-factor”) low-IQ or stupidity and more cognitive dissonance; insecurity revealed by excessive dogmatism. 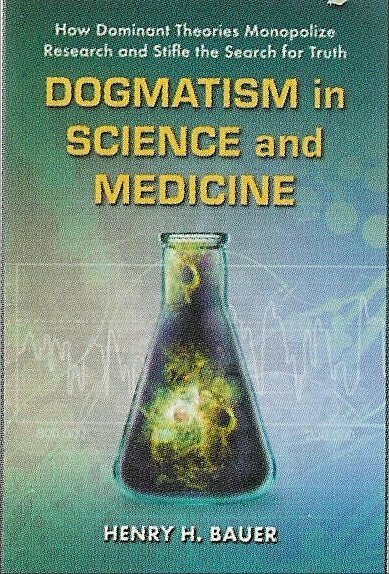 “Science” serves as the crutch to keep uncertainty at bay, often for people who lost a religious faith, as David Leiter suggested in “The Pathology of Organized Skepticism”. Oh, yeah. I agree that a good deal of that is going on. However, I have also heard a good deal of stuff that comes out of pseudoskeptic mouths, like Plait’s, where stupidity is the most likely possibility. Also, in addition to that, I have heard a good deal come out of pseudoskeptic mouths where it is difficult to believe that even they are that stupid. All of the above. By the way, Henry, as the rappers would say, I have to give you props for attacking both sides in the psi debate. I believe in psi, and I have some respect for a number of psi researchers, but I’m no fan of someone like Chopra, and I have been somewhat dismayed at the level of respect that Chopra has gotten among certain otherwise respectable psi researchers. I guess if we define stupidity as not knowing that you’re ignorant, and making no effort to become informed, I could agree wholeheartedly. I don’t understand how people like Chopra become celebrities. And once there, even some who know better kowtow to them, perhaps in hopes that some of the celebrity will attach to acolytes as well. “Repeatability” is a common but baseless shibboleth: almost no one even tries to repeat things because there’s no credit for doing so, you don’t get published unless you do something “original”. Unless you are big pharma. It seems that they may repeat a study six or eight times and only publish the one or two that appear to give affirmative results. You can demonstrate that a fair coin comes up tails almost always if you get to hide the studies that didn’t show that. I enjoyed and was appalled by the two drugs for a similar condition where they were each about as effective as the other. One made it and the other failed because the placebo was too effective in the second case. Worse, it is unreasonably easy to show that a drug, e.g. laetrile, does not work, if that is your intent. A second book on that subject by someone who worked there is now available to confirm G. Ed Griffin’s book on that specific topic. The only G Ed Griifn book I found on amazon is “The Creature from Jekyll Island: A Second Look at the Federal Reserve”, which doesn’t seem right? Misdeeds of the drug companies have been described exhaustively in many works (“What’sWrongWithMedicine”), see for instance those by Angell (2004), Goldacre (2013), Gøtzsche (2013), and Healy (2012) — especially the last two.